This coaxial cable is used to feed a 5 V supply voltage to operate e.g. an active DVB-T/DVB-T2 antenna. This voltage is typically performed via the antenna cable. Some TV devices do not provide 5 V supply voltage via the antenna input. In these cases, active antennas are previously supplied by a conventional power supply with voltage. Using the Delock Antenna cable with 5 V phantom power enables direct power supply through a USB port of the TV device. 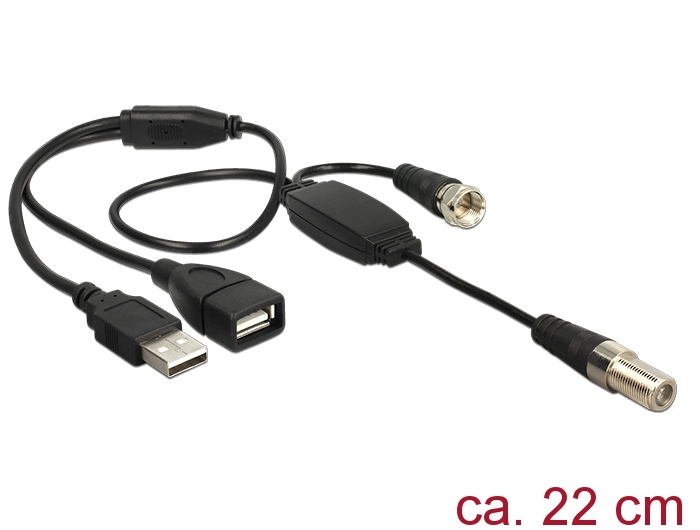 Due to the existing USB Type-A jack on the cable that carries signals and voltage, this USB connection can continue to use.